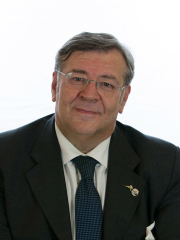 In 1919, exactly 100 years ago, “The Book of the Damned” was published, in which the American writer Charles Fort started a line of studies and publications still alive and vital today. 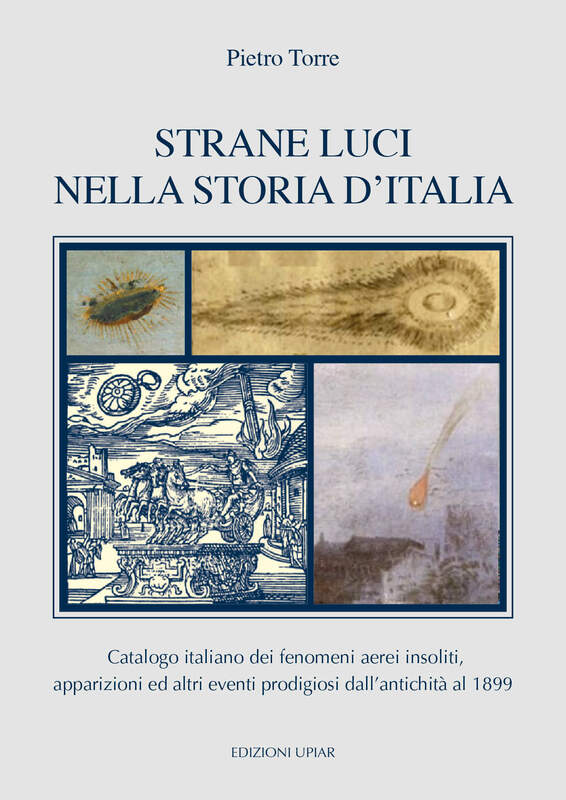 Strange phenomena, unexplained events, anomalous experiences of all kinds (“damned” because not accepted by science) constituted the raw material for the tens of thousands of notes Fort culled from scientific journals as well as newspapers. 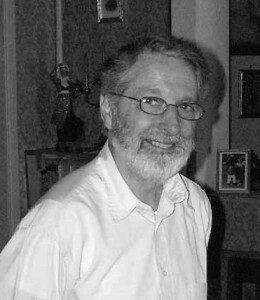 Such matters as ufology, ancient astronauts, cryptozoology have taken on a life of their own, while the broader “fortean phenomena” students continue to gather all kind of unusual and the mysterious news items (ice, frog and fish showers, spontaneous human combustion, out of place artifacts, findings of anachronistic objects…). 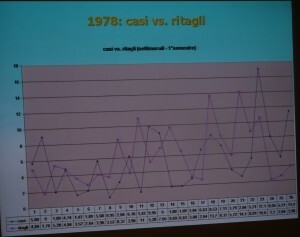 Others have followed in his footsteps, continuing and expanding the collection work, with books, periodicals and associations. 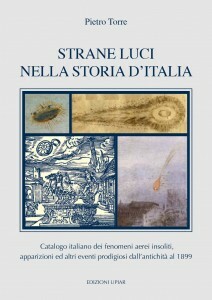 In this century anniversary, a new and original work comes out that has required years of study and verification of the sources. British EuroUfo member Martin Shough is the promoter and lead author, while our Belgian fellow Wim van Utrecht joined to lend a hand. 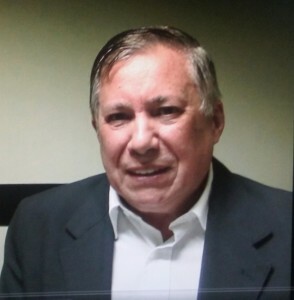 “Redemption of the Damned” is an accurate “re-evaluation after one hundred years” of the work by Charles Fort, an often quoted, little read, even less understood author. 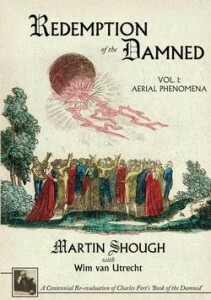 For the first time the eyes and the skills of contemporary researchers have recovered the original sources of all the anomalous observations reported by Fort in the fields of astronomy, meteorology and atmospheric optics, subjecting them to a careful critical examination, correcting mistakes, contextualizing each case, analyzing everything in the light of current knowledge, methods and resources, in an attempt to find rational explanations, something that was possible in a large number of cases (with solutions that can sometimes shock the general public and even surprise specialists), while some well documented events remain unexplained. 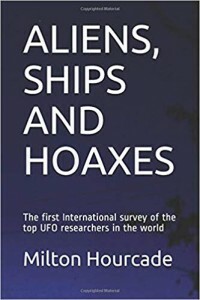 The volume has 412 pages in large format (with 250 illustrations), is published in the USA by Anomalist Books with a foreword by Bob Rickard (founder in 1973 and long editor of “Fortean Times”). Needless to say, it cannot be missing from the personal library of every Fortean or student of unusual aerial phenomena. 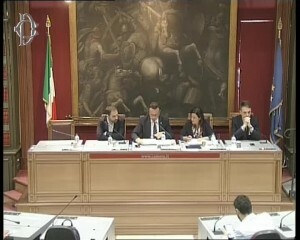 Millions of TV viewers in front of the TV screens and on the Internet on November 26, 2018 to watch InSight space probe landing on planet Mars. 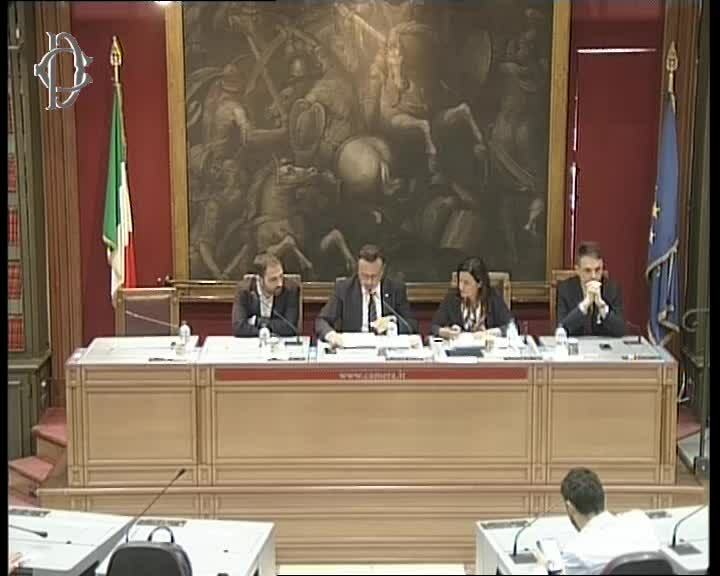 As usual, conspirators claimed that it was a NASA staging, that not only we never arrived on either Mars or the Moon, but even that the red planet is inhabited, with cities, seas and forests. 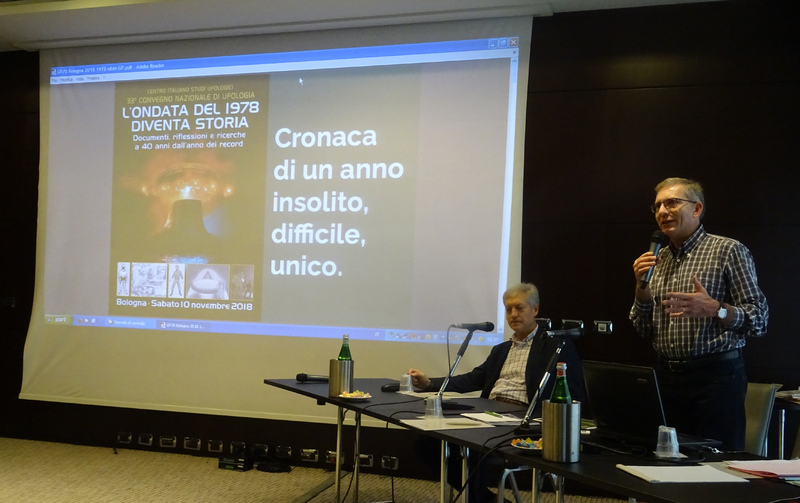 Only a few, however, knew that, without much clamor, the Italian Center for UFO Studies has already landed on Mars fifteen years ago, with an expedition started in 2003. 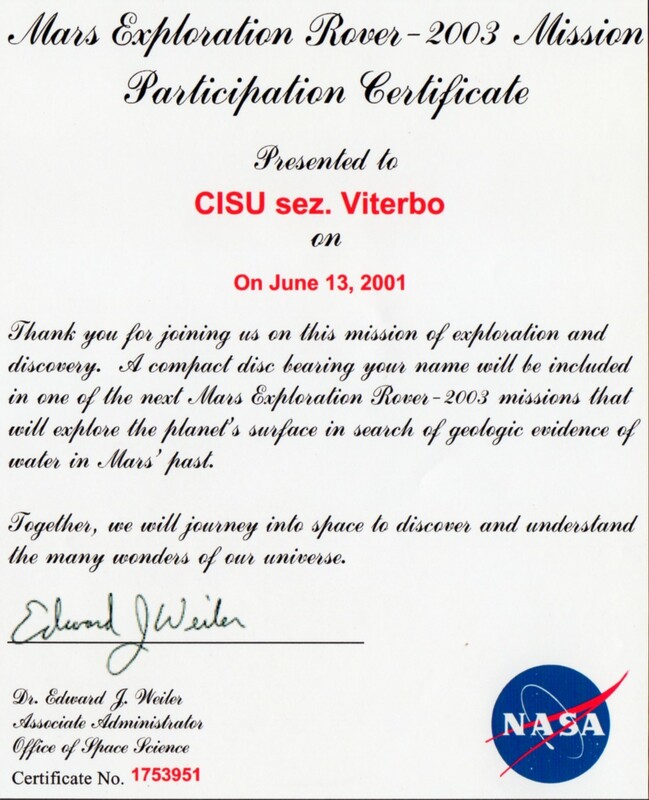 The initiative was by CISU Viterbo Section, which decided to join a NASA offer to include your name on a microchip meant to travel in space and land on that planet within the Rover module. In June and July 2003, the Mars Exploration Rover mission launched two twin expeditions with Spirit and Opportunity rovers on board, both arrived onto the Martian ground in January 2004. From that moment on, CISU Viterbo Section has formally set foot on the planet from which, starting from 1893, millions of people all over the world have expected (and someone still expects) to see the Martians arrive on Earth. 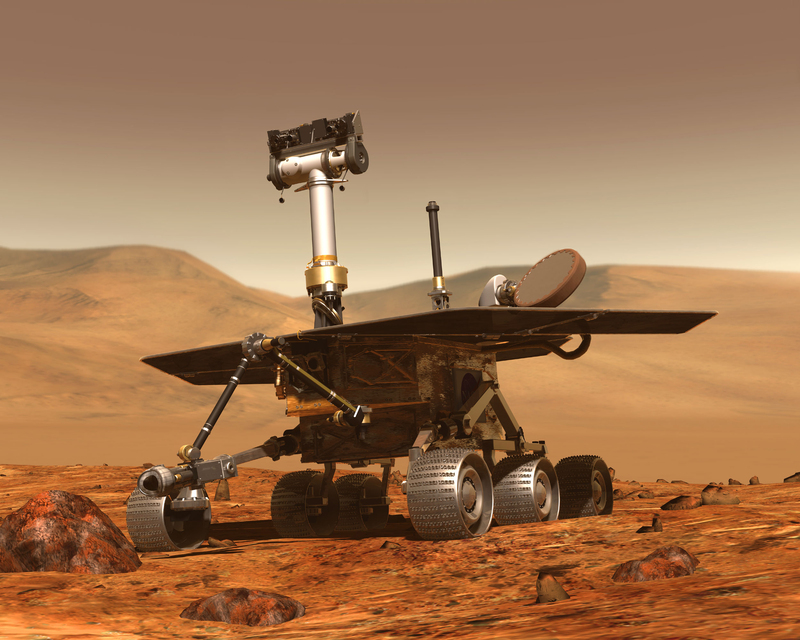 In the top photo: the Opportunity rover. At the center: NASA certification that “CISU sez. 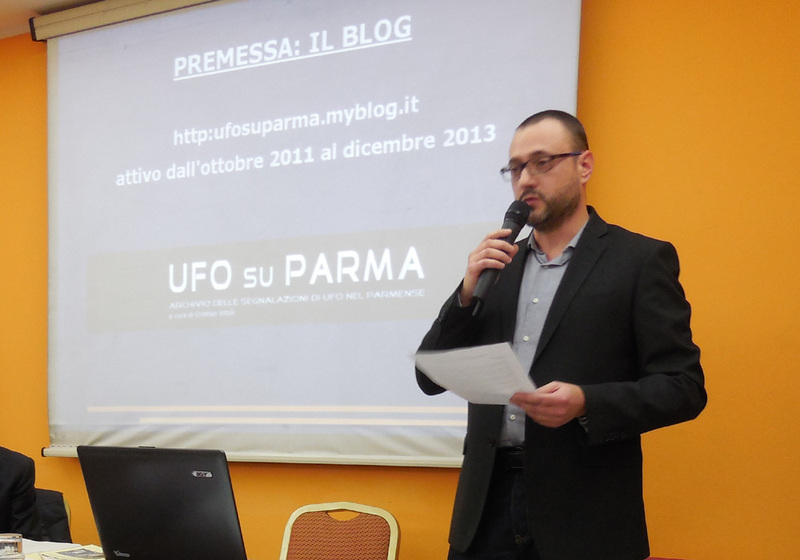 Viterbo” was included among the names of people and associations joining the “Send Your Name to Mars” initiative. 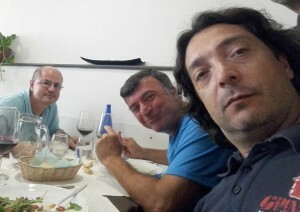 Below: Viterbo section of CISU (from left: Mauro Garberoli, Angelo Ferlicca, Andrea Bovo) at work. On time for the 33rd National UFO Conference, held by CISU in Bologna on November 10th, the second edition of Cristian Vitali‘s “UFO su Parma” was published by UPIAR Publications. 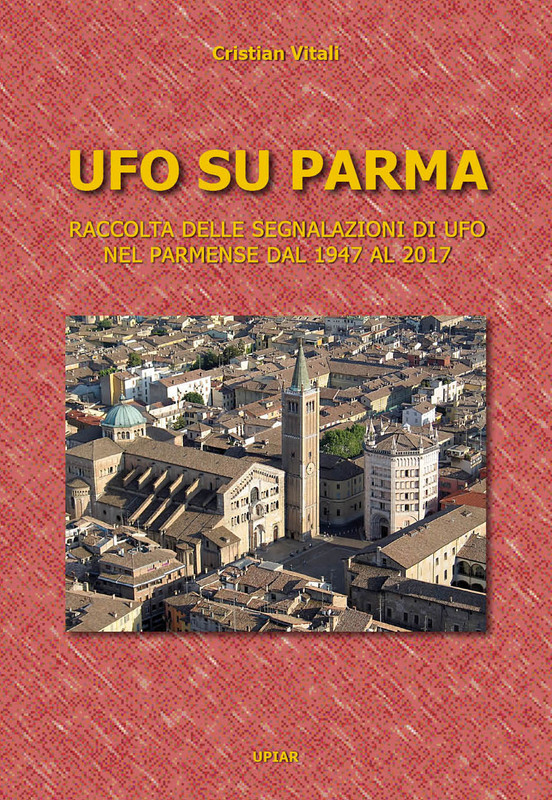 The book, subtitled “Collection of UFO Reports in Parma province from 1947 to 2017″ is the updated and enlarged version of the 2015 result of Vitali’s three years work at collecting, filing and cataloguing all UFO case histories from his province. 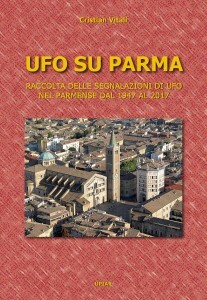 Compared to the first edition, this one brings from 445 to 502 sightings in and around Parma, with 34 new cases from the 2015-2017 periods and other 23 cases from previous years but not in the old catalog. 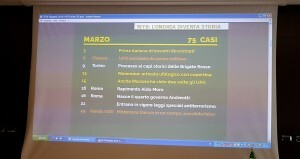 Revisions and updates of 37 events were also added, in the typical “CISU style” for which the publication does not mark a project arrival but also the starting point for further investigations, in a continuing work in progress. 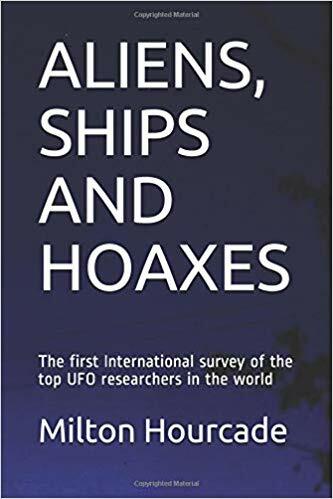 In addition to detailed description of each sighting, the volume contains statistical analysis and some in-depth investigations by the author, for a total of 220 pages. 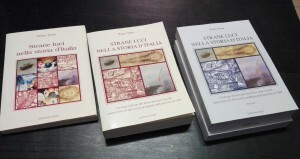 It can be ordered from Upiar Store website. The aeronautical journalist Nico Sgarlato succeeded in a odd record: two UFO books by him were published within just over a month, the first ones in an already long career as a writer on technical issues. At the end of September, Delta Publishing announced the release of a volume titled “UFO Fighters” (80 pages, hardcover), which consists of a collection of articles he Sgarlato wrote about UFO cases hisotires having pilots in flight as witnesses , especially in the magazine “Aerei” (Airplanes) . 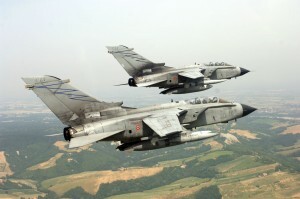 Among these are Kenneth Arnold, Thomas Mantell, George Gorman, Frederick Valentich and Giancarlo Cecconi (Italy) testimonies, Washington, Lakenheath, Teheran, Belgium aerial encounters etc., each with a wide range of illustrations and references to the aerotechnical aspects. 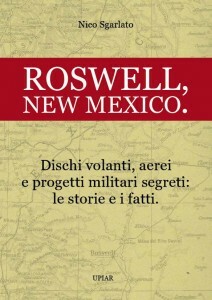 In early November, the book entitled “Roswell, New Mexico” (and subtitled “Flying disks, airplanes and secret military projects: stories and facts”, 93 pages + xvi of pictures) has been published by UPIAR Publications about the famous story of a flying saucer crashed in southwestern USA, in those very early days when the “flying saucers” saga began. 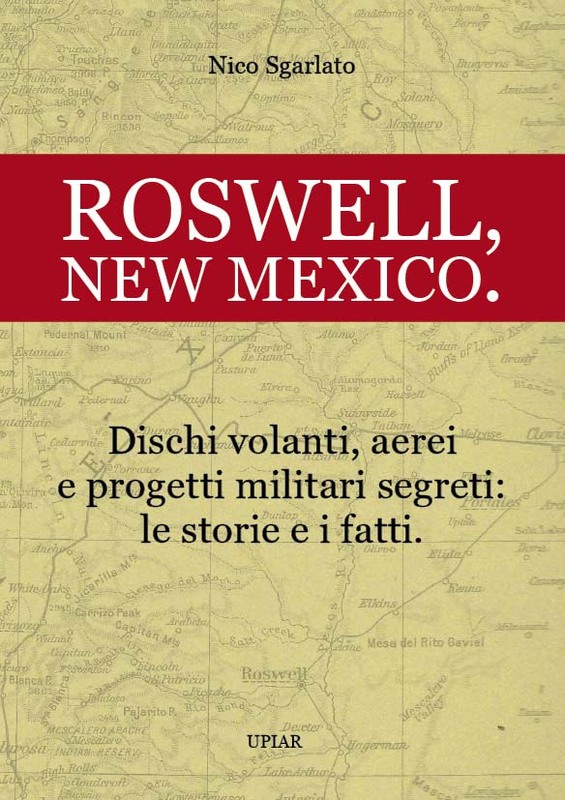 Here, too, author’s attention is mostly centered on aeronautical and military history, with an eye to the role played by intelligence in this and in some other historical cases (Mantell, Kinross, Fu-Go Ballooons, Kecksburg). 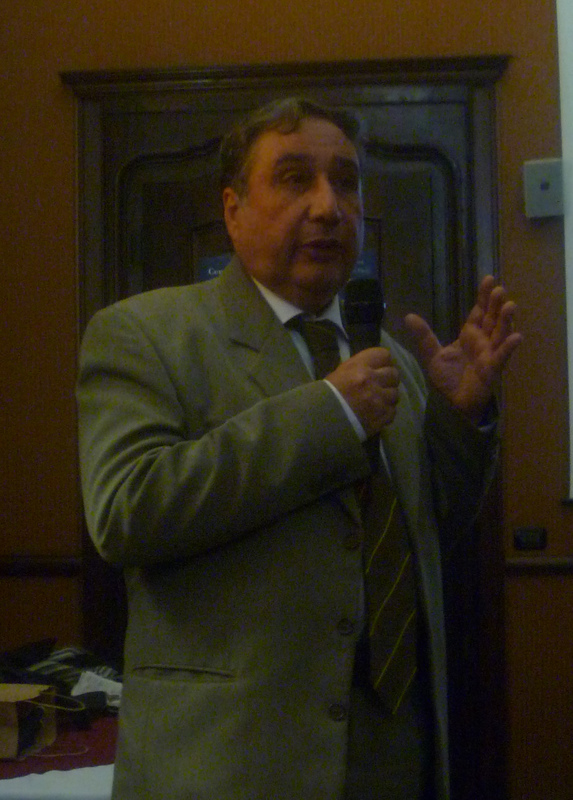 Nico Sgarlato (born in 1944 in Albenga, where he has always lived) is mostly known as editor or editor-in-chief of several specialized periodicals (eg. 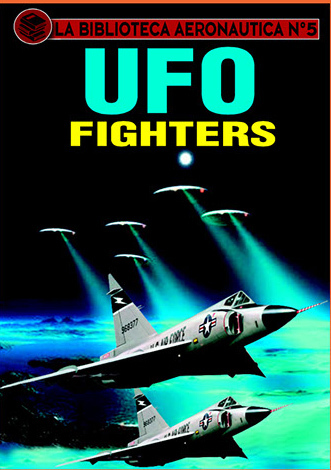 Aviation & Navy, Airplanes, Aerospace-month, Airplanes in History, Aeronautics & Defense), but only a few people know he also has a ufologist curriculum dating back to his younger years and the collaboration with “Clypeus” magazine (1967). 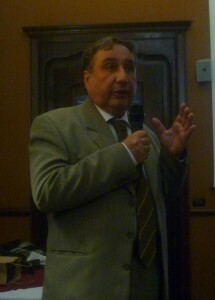 Since 1990 he’s been a full member of the Italian Center for UFO Studies (CISU), writing articles in its journal “UFO”. 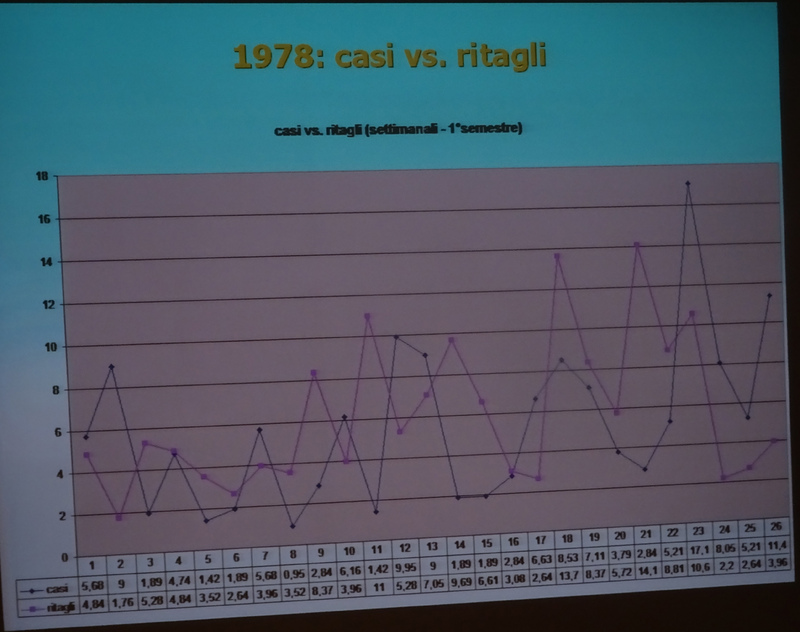 Exactly forty years ago, in the autumn of 1978, the whole Italy was overwhelmed by a real “UFO psychosis”: thousands of lights sighted in the sky and hundreds of close encounters (often with traces and humanoid beings) spread all along the peninsula in a crescendo culminated at the end of December. 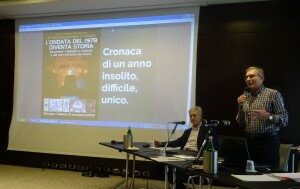 But that’snot all: daily newspapers, magazines and general mass media were overflown with articles on the UFO subject, movie theaters projected Steven Spielberg’s masterpiece “Close Encounters of the Third Kind” (and “Eyes from Behind the Stars”, too), “Atlas UFO Robot” cartoon conquered the young kids from TV screens. 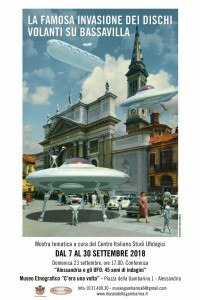 In order to celebrate the forty years from ’78 and the continuing presence of UFOs and extraterrestrial spacecraft in our everyday life, the Italian Center for UFO Studies (CISU) presents the thematic exhibition “The famous invasion of Flying Saucers at Bassavilla”, at the Ethnographic Museum ” Once upon a time” in Alessandria, with free admission every day from 9 to 12 and from 15.30 to 19 (closed Sunday morning), from September 7th to 30th. Inauguration will be held at 6 pm on Friday, September 7th. 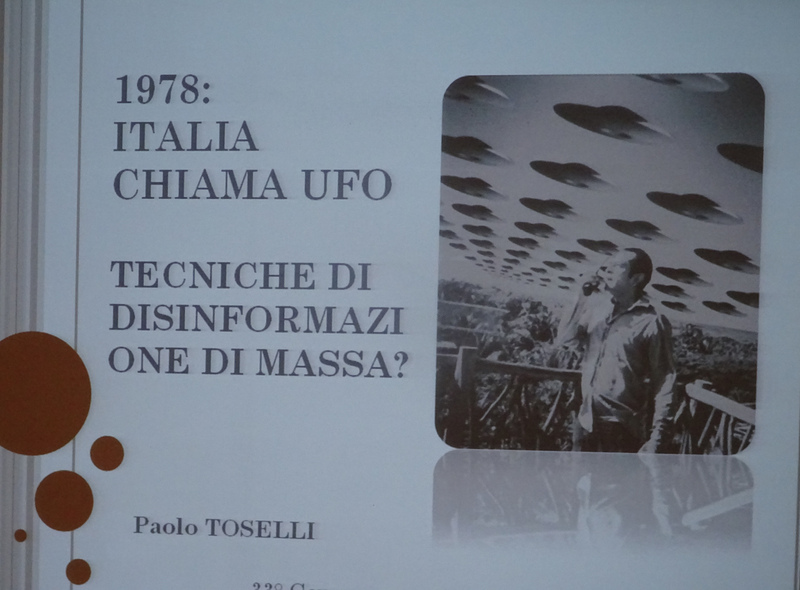 On Sunday, September 23, at 5 pm, there will be a conference by Danilo Arona and Paolo Toselli about “Alessandria and the UFOs: 45 years of investigations”. 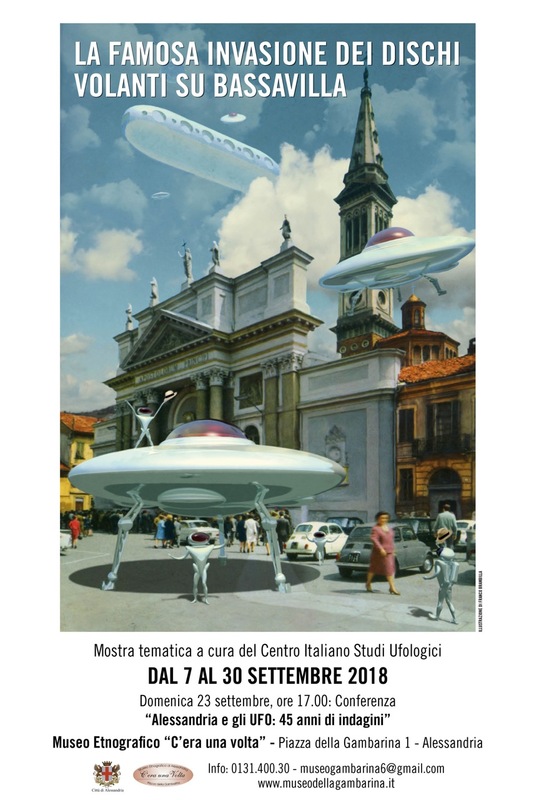 In the above picture: exhibition poster by Franco Brambilla (artist of many “Urania” cover pages) showing Dome Square in Alessandria (the “Bassavilla” born from the mind of Danilo Arona) “invaded” by spaceships and aliens, who look like intrigued by a classic Borsalino hat.